Our water features are designed to withstand the test of time. We have expert knowledge of all forms of water feature construction. Choose from a variety of rock materials, and water feature locations from a simple entry way water fall, to a large pond with stream and water fall. We can make your water garden something that you can truly be proud of. WATER FEATURES – Water Falls, Streams, Ponds. The sound of water in a garden or entry is truly exceptional. It brings another element into play that can take a space to the next level. As a result of constructing and maintaining dozens of water features in Eugene, OR we know that many people are concerned about maintenance. Our custom water features are designed to be very low maintenance and exceptionally designed to ensure longevity. 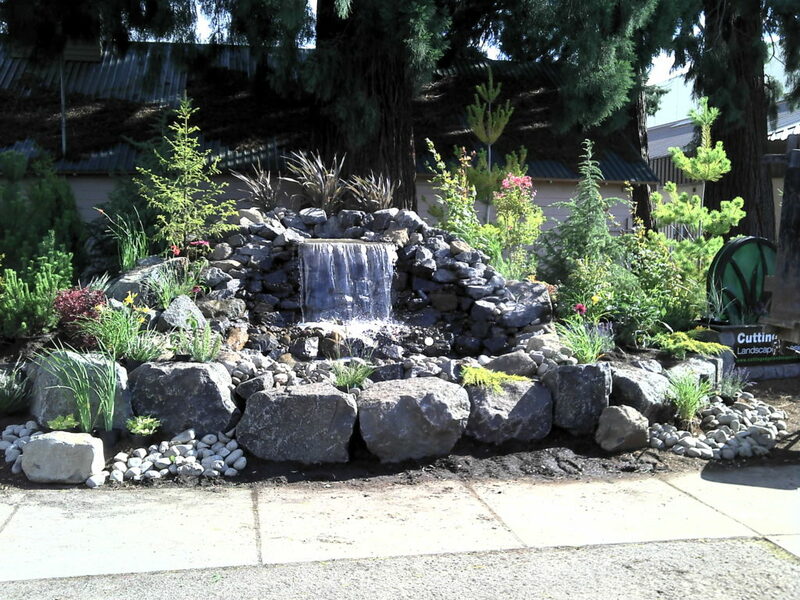 If you are interested in having a water feature in Eugene, at your home or business, contact us to set up a free consultation. See more Water Feature images in our Portfolio. We are experienced water feature contractors in Eugene and have designed and constructed a variety of water features using various materials. If you have any questions or concerns about water feature cost, or materials used contact us today! Typical water features we design and install.